“Pheasants at Muttontown Preserve” by Arthur Singer is one of 70 paintings in &#8232;an exhibit of work by RIT art professor Alan Singer and his father, Arthur. A career in art was perfectly natural for Alan Singer. Alan’s mother, Judy Singer, was an artist and illustrator. His brother, Paul, who operates Paul Singer Design in Brooklyn, has created educational kiosks placed along the Erie Canal. And Alan’s father was Arthur Singer, noted painter of birds and nature subjects. His Birds of North America, published by Golden Press, has sold millions of copies. Born in Manhattan, Alan grew up in an area of Long Island “that was still rustic.” His parents encouraged his interests in art and nature. Artists were frequent visitors to the Singer home, including Roger Tory Peterson, author and illustrator of renowned bird identification guides. 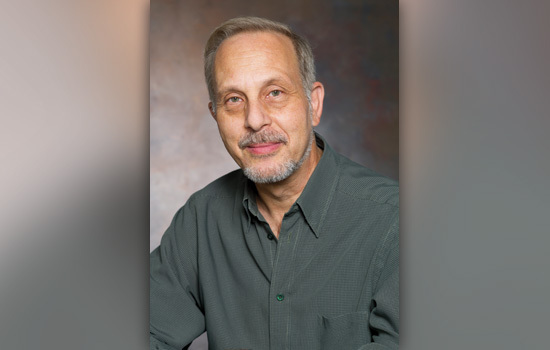 Ornithologist David Allen Sibley, author and illustrator of The Sibley Guide to Birds, studied with Arthur in Trinidad, where the Singers traveled to observe migrating birds. At age 13, Alan began taking Saturday art classes at the Art Students League and Museum of Modern Art in Manhattan. Alan earned a BFA from his father’s alma mater, Cooper Union, and went on to earn his MFA from Cornell. Like his father, he taught and he painted. In the early 1980s, Alan and Arthur began collaborating on their best-known work when Arthur received a commission from the U.S. Postal Service to create stamps depicting the official birds and flowers of all 50 states. Arthur painted the birds; Alan did the flowers. Issued in 1982, the stamps were enthusiastically received by the public. Charles Kuralt, in a segment on CBS Sunday Morning, called them “joyous little masterpieces.” They are believed to be the largest-selling special issue in the history of the Postal Service. Father and son continued to work together until Arthur’s death at age 72 in 1990. 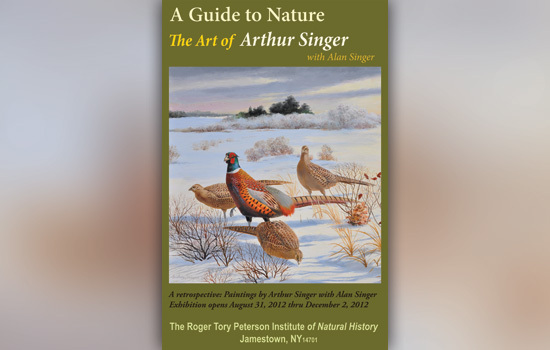 This fall, 70 of both artists’ paintings are on display at The Roger Tory Peterson Institute of Natural History in Jamestown, N.Y. “A Guide to Nature: The Art of Arthur Singer, with Alan Singer,” runs through Dec. 2. Alan continues to explore new directions in his own work. “I continue to enjoy painting and drawing from nature, but I like the technical, mathematical aspects of creating abstract art with the computer,” he says. In addition to his fine art classes, Alan teaches business practices, with a focus on teaching students how to maintain a career as an artist. He regularly brings in guest speakers, including faculty from the E. Philip Saunders College of Business. “The art world has changed radically in the past 20 to 30 years,” he says. “It has become extremely fragmented. Today, artists need to be entrepreneurial; we try to expose students to that, to broaden their perspective. For more information about the art of Alan and Arthur Singer, go to www.singerarts.com. For information about the exhibit at The Roger Tory Peterson Institute, go to www.rtpi.org.